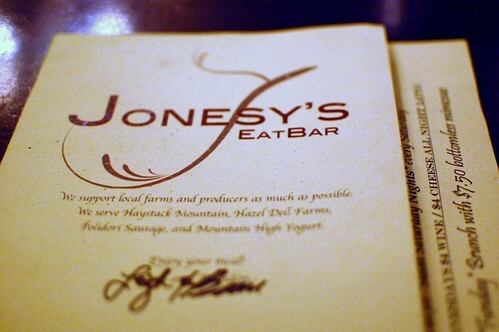 We headed to Jonesy's EatBar right after we checked into our hotel late Friday night. It was within walking distance of our hotel and was open until midnight. Sold! 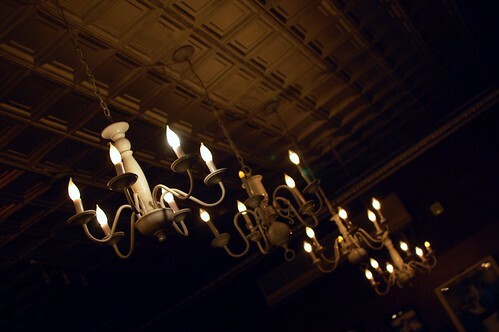 Jonesy's EatBar is a gastropub with a little bit of country and a little bit of 1950s. We really loved it. 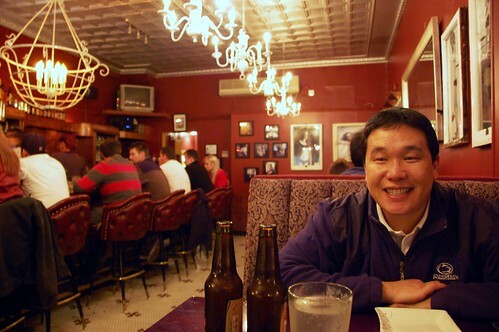 Our server was so friendly, genuine, and attentive, and the general vibe of the place was warm and happy. We felt like locals at a neighborhood hangout! 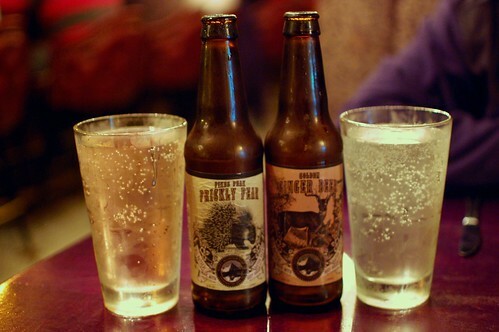 The Rocky Mountain Soda Company -- Prickly Pear, Ginger Beer ($3 each). We love interesting sodas, especially those with bite. These didn't disappoint! 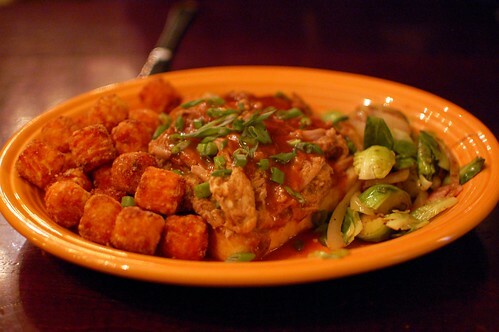 Pork brisket infused with pineapple, sauteed Brussels sprouts with onion and bacon, sweet potato tater tots. This was the special of the day, and, boy, was it special! The pork was so rich and juicy. The Brussels sprouts were the perfect consistency and beautifully salted with the onions and bacon. And the sweet potato tater tots? Otherworldly! Almost like dessert! 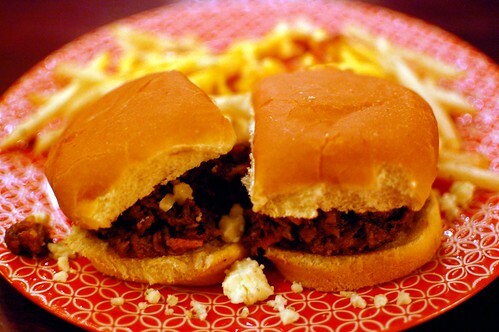 Lamby Joe sliders -- shredded Colorado lamb, caramelized onions, bleu cheese, bacon + bacon mac 'n' cheese fries ($12). Crazy good! 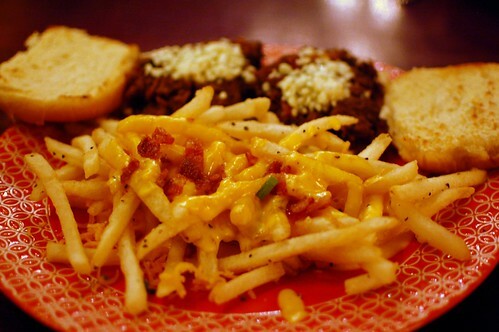 So much comfort on one plate! 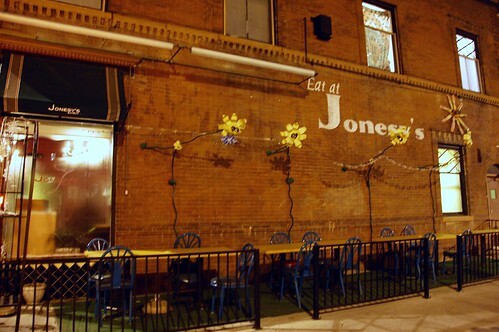 For fantastic late-night eats in Denver, go to Jonesy's EatBar! I've been seeing a lot of sweet potato tater tots on plates these days. Hot new trend? Who knew Denver was so trendy? !